Small 4 Style: Freebie Alert From Simply Chic! Freebie Alert From Simply Chic! Remember when I interviewed Amy Schroeder of Simply Chic jewelry? 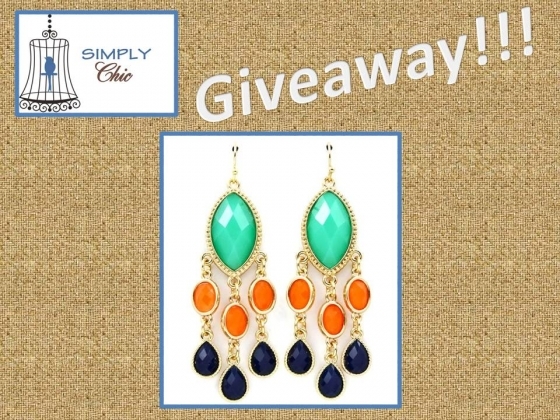 Simply Chic is giving away a pair of fabulous Kendra Scott-inspired earrings! To enter, head over to Simply Chic's Facebook page and comment on the earrings photo: "I want these for FREE from Simply Chic!" And make sure to hit "share" on the post! Good luck, the drawing will be held before the Monday night auction at 8:00 PM central time.